Are families with young children welcome? Is a housekeeping service provided? What happens if I have a guest overnight? What if I don’t like the apartment? Why rent an apartment rather than a hotel? Our top ten reasons. What rules and restrictions apply? Can you arrange for an airport transfer? Our apartments are cheaper than staying in a hotel, usually by as much as 30%. Because our apartments have cooking facilities, this gives you the flexibility of preparing your own meals and saving the expense of restaurants. Booking online is easy and you can be confident that your card details are secure at all times. More space and freedom than in a hotel. We charge per apartment, not per person. Most hotels charge per person so rates can seem lower than they actually are. Stay one night or one month (or even longer) – you have the flexibility. 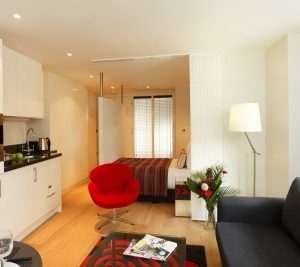 All our apartments are “serviced apartments” which means a maid service and fresh towels and bed linen will be provided. More like a home than just a place to sleep. Enjoy privacy and security. Many of our apartments have reception areas and staff on site to assist you during your stay. We can provide suitable accommodation for all your needs. Usually children are welcome and you will be advised when you make your booking. In some cases an additional damage deposit will be required. All costs are inclusive. The only additional costs would be for telephone calls and internet access if used. In some cases, rates do not include VAT – this is clearly stated on the property page and you will be advised when booking. 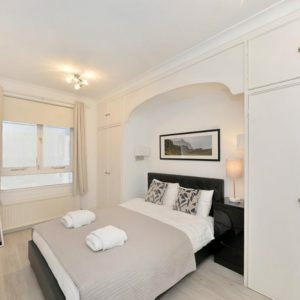 All apartments are stocked with plenty of towels and bed linen and extra can be provided if requested. Please enquire when making your booking. Yes, although cancellation charges may be incurred which vary from property to property. You will be informed of the cancellation policy before your booking is accepted. If at all possible, we will try to accommodate any changes to your booking. Please let us know of any changes as soon as possible. An alteration fee of £15 will be payable. For an extra cost, we will be happy to arrange collection from any airport. Please let us know when making your reservation. Some apartments have breakfast facilities in the building. 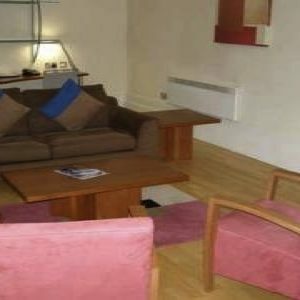 Other apartments are let on a self-catering basis. Grocery stores are located nearby coffee shops or restaurants. After you have selected the apartment you are interested in, contact our reservations department or book directly online and we will let you know whether your choice of apartment is available. The online booking procedure is very simple and straightforward, however, if you wish to contact us we will be happy to help. Email enquiries are also welcome and we aim to respond within one day. This depends on the property – some have a reception/porter service while some don’t. Once we have confirmed your reservation we will give full details. Most apartments provide a maid service 5 or 6 days of the week. In some properties a weekly service is provided. Check when making your reservation. Additional housekeeping services can usually be provided at an additional cost. This will vary from property to property. Please check the policies section of the apartment. Almost all our apartments have a direct dial telephone. An additional charge will be made for any calls made. 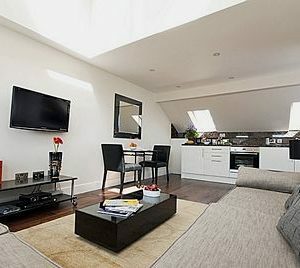 All our apartments are equipped with a colour television. In most cases, internet access is available. Please check when booking. Usually the minimum stay is 1-3 days. Some apartments have minimum stays of one week and some corporate properties have a 30-day minimum stay. Please check when booking. Yes, a deposit is payable which will vary according to your booking. The balance must be paid by arrival at the latest, either by credit card or cash at the reception. This will vary from property to property depending on location, the size of the apartment, what facilities are provided and your length of stay. Almost all apartments have complete cooking facilities and basic cooking equipment. Most have a stove, oven, grill, fridge/freezer, microwave, toaster, posts and pans, cutlery and many have a washing machine and dishwasher. Check when booking. We charge by apartment not by person so you are welcome to have extra guests. Foldaway beds are available at a small, daily charge. 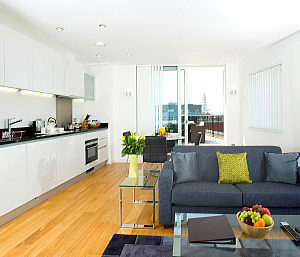 Please ensure you choose the right apartment for your requirements when booking. If the apartment is not as requested, call the contact number and you will be moved to another apartment. In most cases, we will be able to rectify any problems once we have been informed. You will be given the name and contact details of a local representative in London who can help if you have any problems with your apartment. Usually, check in after 2.00 pm; check out by 11.00 am. It may be possible to store luggage at reception. If you require an earlier check in you are advised to reserve the apartment from the previous day. Check when booking. Please read our Terms and Conditions for details about our policies. Apartment restrictions can vary and the Terms and Conditions of particular apartments can be found on line.